With temperatures rising and the sound of leather on willow filling the air, the cricket season is in full swing, heralding British summertime. 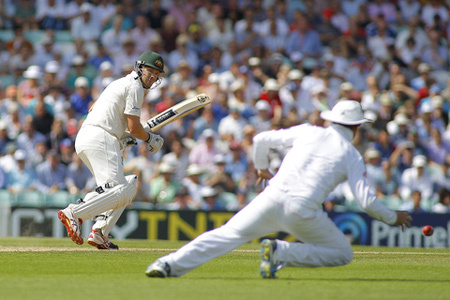 And nothing marks the season more decidedly than the start of The Ashes. With England pitted against the Australians for the 69th series since the very first in 1883, this year’s Tests which will take place on English soil, will prove particularly eye-opening, with the home nation just one series behind Australia’s 32 victories. Yet, this year, it is not just for the sport that eyes will be turning to the famous grounds that will play host to the Tests, up and down the country, savvy buyers are looking to these locations for shrewd property purchases. Urban.co.uk, the UK’s original online estate agent, has released new data that reveals the impressive rises in house prices of properties in close proximity to the country’s famous cricket grounds, registering striking growth since the last time The Ashes were in the UK. For those with cash to splash, ‘unbeaten’ Lords is the top location in which to buy property for price growth, according to Urban.co.uk, with an 18.57% growth in average house prices in the vicinity since July 2013. An average house in this part of London’s St John’s Wood was then £1,145,449, whilst today it registers at a heady £1,358,096. Coming in a close second, as another location having had ‘a good innings’ in the past two years is South London’s Kennington, home to the Oval where the final Test of the series is traditionally played. Here, average property prices have risen some 17.22%, from a figure of £471,449 in July 2013 to £552,628 in July 2015. A true phoenix rising from The Ashes, Trent Bridge is the top cricket location outside of the capital in terms of recent house price growth, with properties today on average £221,216, compared to £203,131, an increase of 8.9% since the last time series was played on British soil. Another location that has not been ‘run out’ of the rankings is that surrounding Cardiff’s Sophia Gardens, where today’s average property is 8.34% higher than in 2013, a still-affordable £189,335 compared to £174,759 two years previous. Not one to be ‘stumped’, properties in the vicinity of Headingly in Leeds, West Yorkshire are still ‘bowling over’ buyers looking for a smart property move. Here when The Ashes were last on home turf, an average property was priced at £191,611 and today the same is revealed as £206,127, a growth of 7.58%. “Cricket is undeniably the quintessentially British sport, with its long tradition, historic significance and rich terminology appealing to our eccentricity and sporting prowess. Yet it is now also clear that the sport, and key ground locations especially, are today also appealing to savvy property buyers.